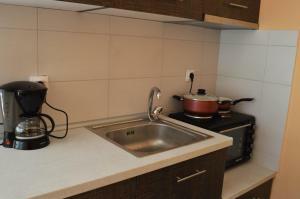 Great self-catering apartment, quite large, cozy and comfortable, well equipped with all that is necessary. It was very nice to have a living and a dining space. Our host was gently, prompt, and helpful. 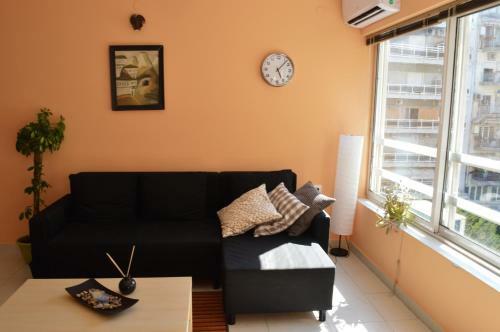 The apartment is central, close to Egnatia Odos, Ladadika neighbourhood, Aristotelous Square, Roman Forum, St. Demetrios church, seafront, and some other attractions, and is also quiet, because its position on a small street. We really enjoyed to stay here! This place is excellent value, especially if you are a couple. (I stayed on my own, which meant there was tons of room.) The owner is friendly, and the place feels very cozy. Everything was clean, and I can also see the place being a good option for someone staying longer. WiFi worked well, there was lots of hot water, and the heating units also worked well. The location is pretty convenient as there is a bus stop nearby, and it's also walkable to many places. 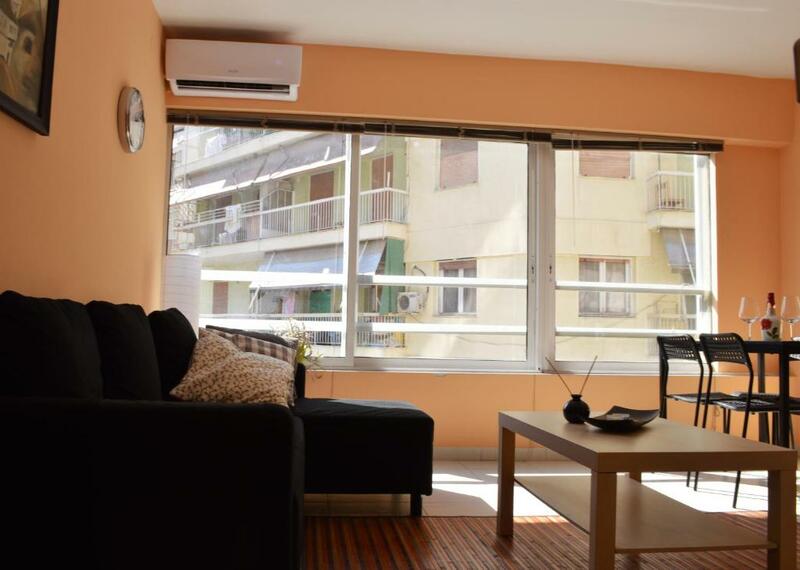 The apartment is in the center of Thessaloniki, in a residential area, so it is not noisy. 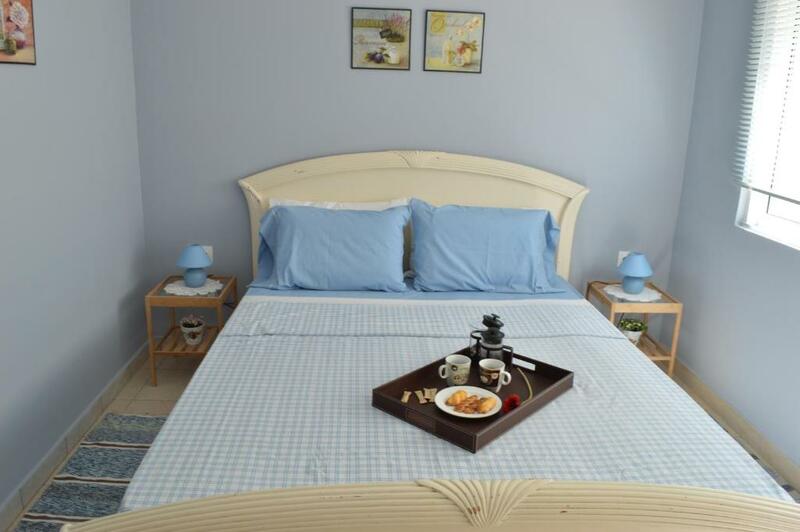 Very well maintained, as Alexandros has cared for every little detail and the guests can really feel at home. Professional and friendly host, minimalist equipped but everything you need is right there. Apartment has a lift for easier loading and unloading - great and rare. 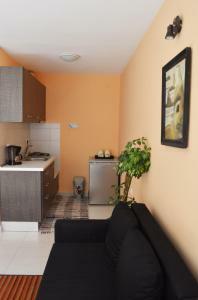 Perfect location, a clean apartment and the host was very friendly! A very good apartment with the best location. Nice location. Near to the center and easy to reach from airport by bus. Few supermarket in a short walk distance. Friendly proprietor. Axelia is a small apartment but is perfect for 4 people. You do not have to wait for luxury. The kitchen is fully equipped. The owner waited for us in the morning, as we said. There is an underground car parking right next to Axelia and costs 12 euros per day. It is close to the seashore and points of interest. Location is the main quality of the apprtment as you can park your car in near underground parking (12 EUR/night) and walk 10 min to city center. Bakery, supermarkets and coffee shops are in a 1-2 minutes walking distance. Lock in a great price for Axelia Apartments – rated 8.9 by recent guests! Located within a 10-minute walk of Church of Agios Dimitrios in the Thessaloniki City Centre of Thessaloniki, Axelia Apartments has accommodations with free WiFi. The units come with a kitchenette featuring coffee machine and a dining area, a living room with a sofa, and a private bathroom with free toiletries and shower. 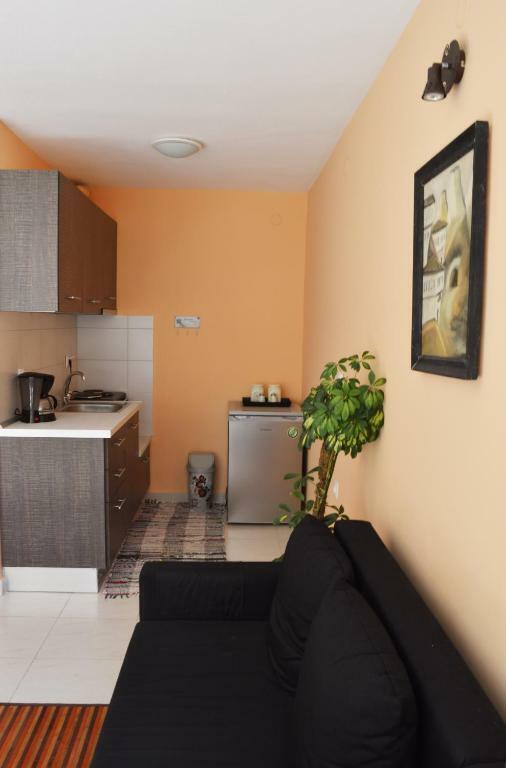 Some units are air-conditioned and include a seating area with a flat-screen TV. Popular points of interest near the apartment include Aristotelous Square, Thessaloniki Cinema Museum and Piraeus Bank Convention Centre. 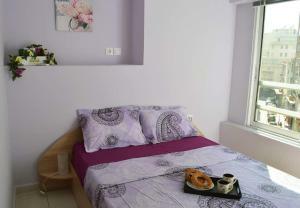 The nearest airport is Thessaloniki Airport, 13 miles from Axelia Apartments. When would you like to stay at Axelia Apartments? 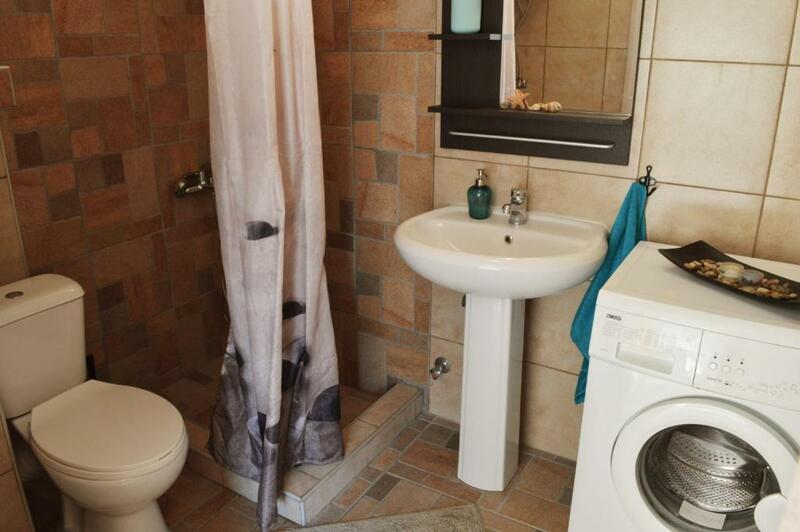 This apartment has air conditioning, private entrance and oven. Central location, all major city highlights within walking distance. 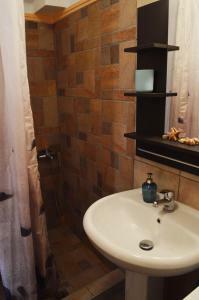 Recently renovated, clean and cozy! A must! Friendly and well travelled, well aware of a traveller's needs. I can assist you in everything you might about making your visit memorable! The neighbohood although is central yet is quiet at night. Nearby you can find everything from bakery shop to super markets and pharmacy. House Rules Axelia Apartments takes special requests – add in the next step! Please inform Axelia Apartments of your expected arrival time in advance. You can use the Special Requests box when booking, or contact the property directly using the contact details in your confirmation. There were no cleaning equiptments. For a longer stay it could be nice to be able to swipe the floor. Also the blinders on the windows have seen their best days. The surrounding area is a bit worn-down, but not unsafe. We had the 2-person apartment, which may need to be refreshed a bit; there is airco in the living room but only a fan in the bedroom (which was pretty warm at night). Walls are pretty thin, so you may hear your neighbours or they may hear you. The host Alexandros was extremely flexible, waiting for us even if our flight was late in the evening. He provided coffee and tea for our breakfast. The property is very well-placed, we went everywhere by foot. Supermarket are close by. There was no mosquito net. Unfortunately you can not keep the windows open during the night. It is quite uncomfortable. The old oven was too slow. No microwave oven. No kettle. It was unexpected. A microwave and an iron are missing. The gritstone in the living room should be replaced. Appartment was cold (in February) and one air condition and one fan heater can not do their job so fast. Appartment was not clean enough for the 15EUR price for cleanning fee that you pay. Below the appartment there is some Fur Shop and whole building looks like Office building rather than Appartment building. Windows are bad (one layer of glass only) and you can hear everything from outside, even a normal talk, so forget about long sleeping in the morning. Although we had paid for cleanliness, we took a clean appartment, but for four days, we stayed there, there wasn't any cleanliness. We liked the place of the appartment. It was near the center of the city and the bus stations.